Sickle cell anemia is a type of blood disorder affecting hemoglobin, which is a protein that can be found in red blood cells. 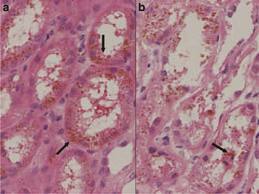 It occurs when an abnormal form of hemoglobin is produced. 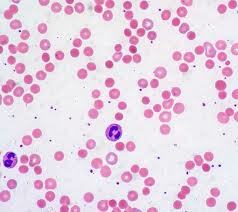 Sickle cell anemia may be the result of a genetic mutation that happened in malaria-prone regions such as Africa thousands of years ago. 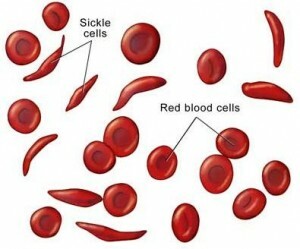 People with sickle cell trait may have been more likely to survive malaria epidemics and because they survived when others did not, this allowed the trait to be passed down through generations. The disease is not contagious therefore you can’t catch it from somebody else carrying the disease like a cold or an infection. Symptoms of the disease include: chest, leg, arm and stomach pains. Doctors use a blood test called hemoglobin electrophoresis to look for HbS in a person’s blood. There is no cure for the disease, and it is possible for some people to die from it. Treatments can be provided by doctors which help prevent complications from sickle cell disease through Folic Acid and Penicillin or other antibiotics.